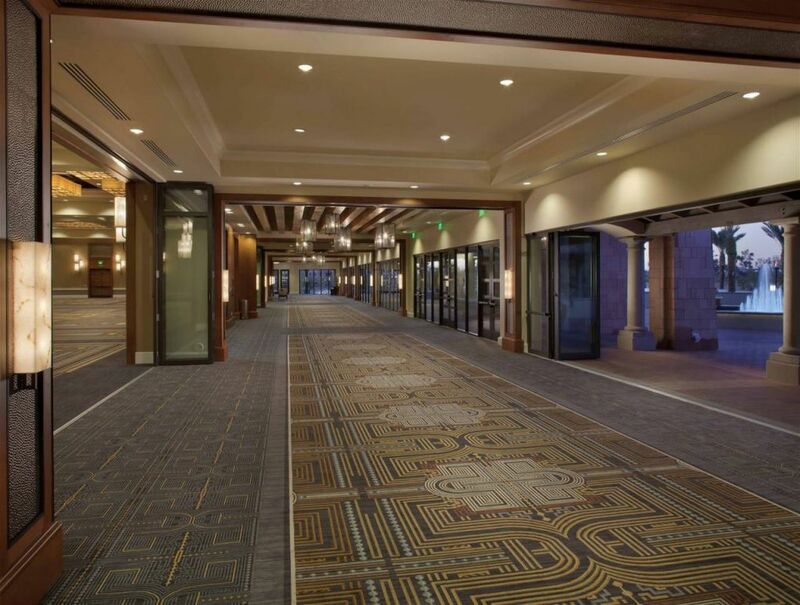 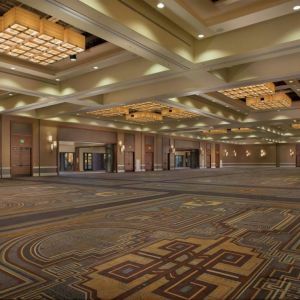 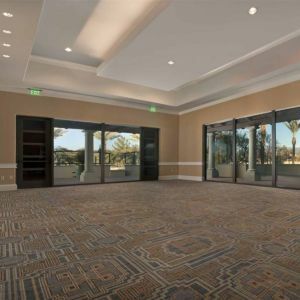 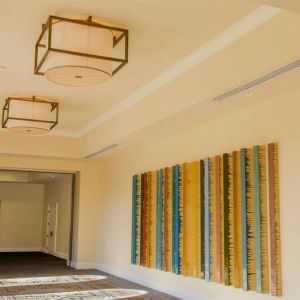 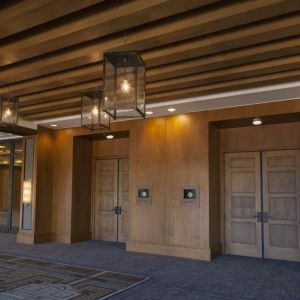 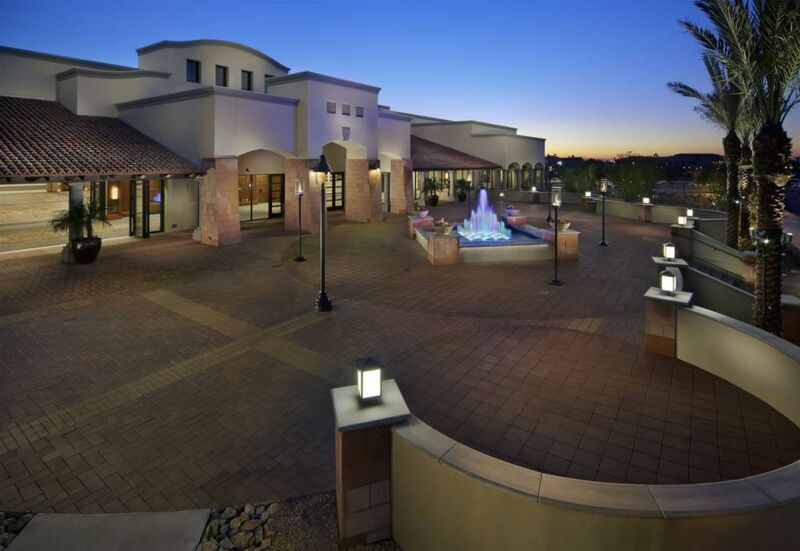 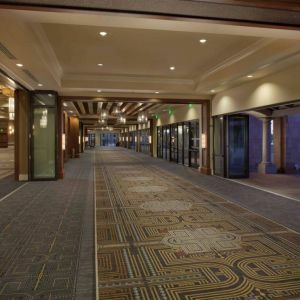 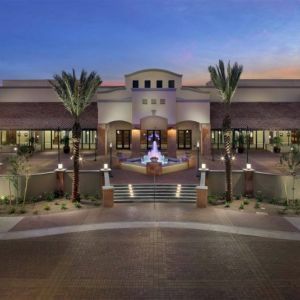 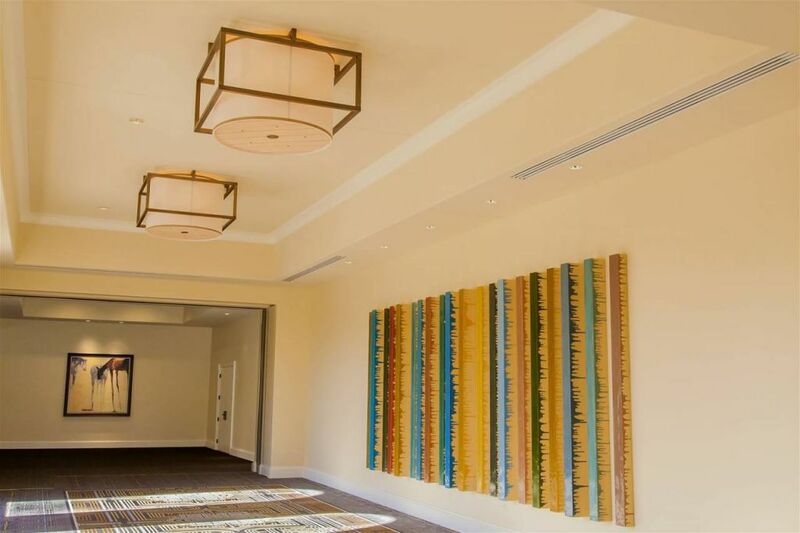 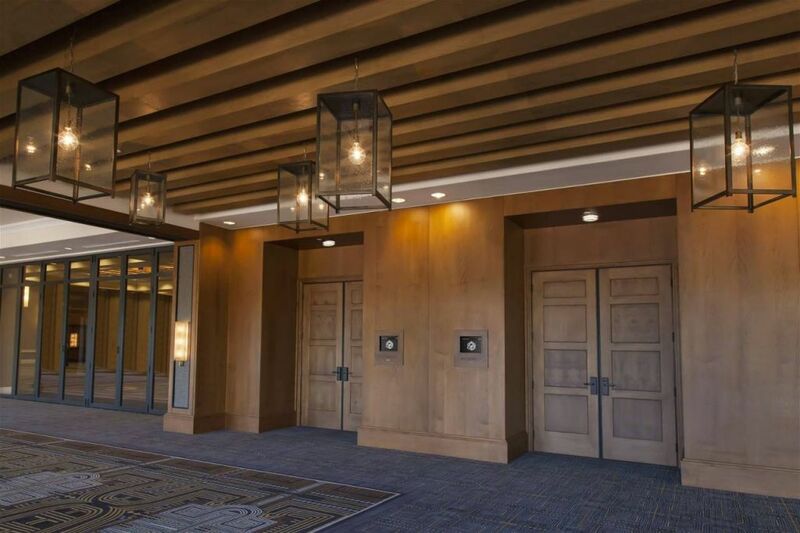 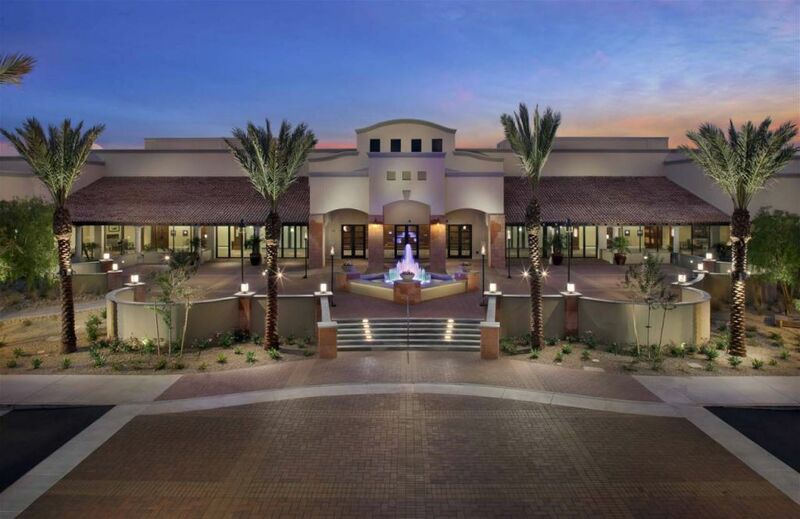 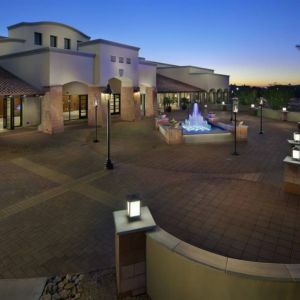 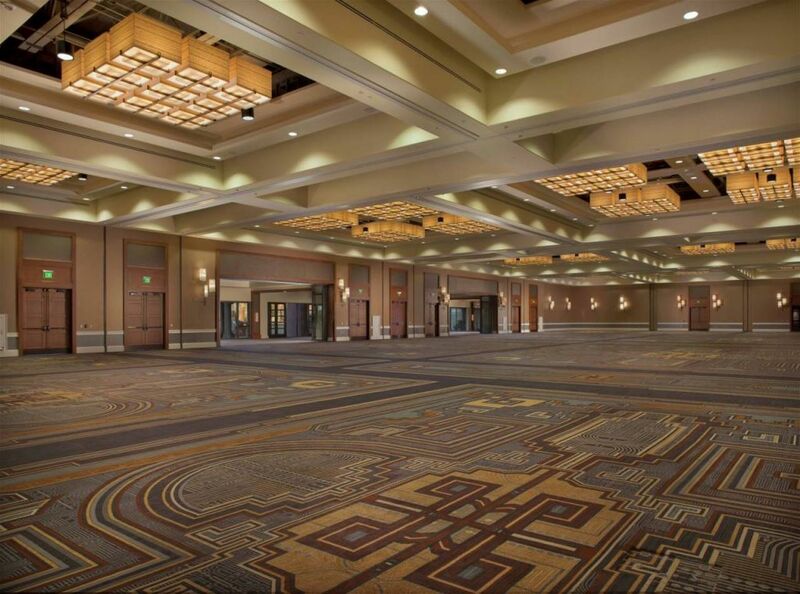 The interior design team at Strategic Hotels and Resorts turned to PRECIOSA to create the decorative lighting for the recently opened conference center at the Fairmont Scottsdale Princess. 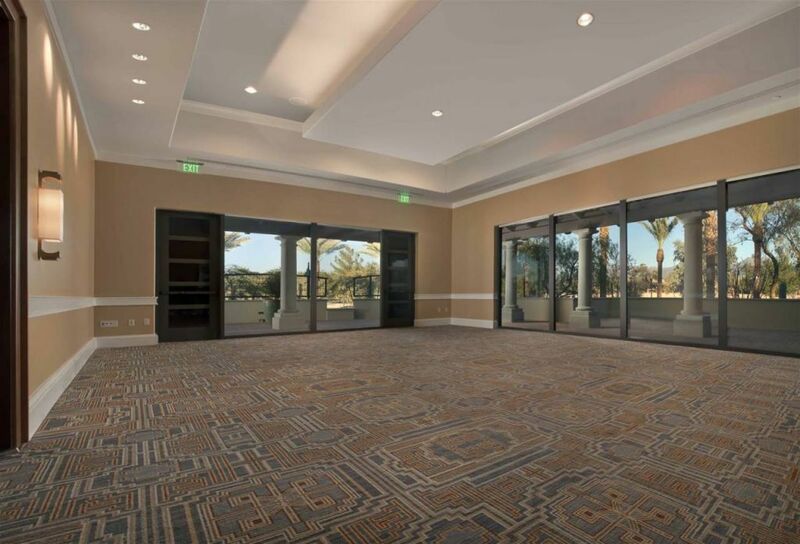 The state of the art meeting space was designed with its own unique identity while complementing the existing ballroom and meeting rooms in the resort’s main building. 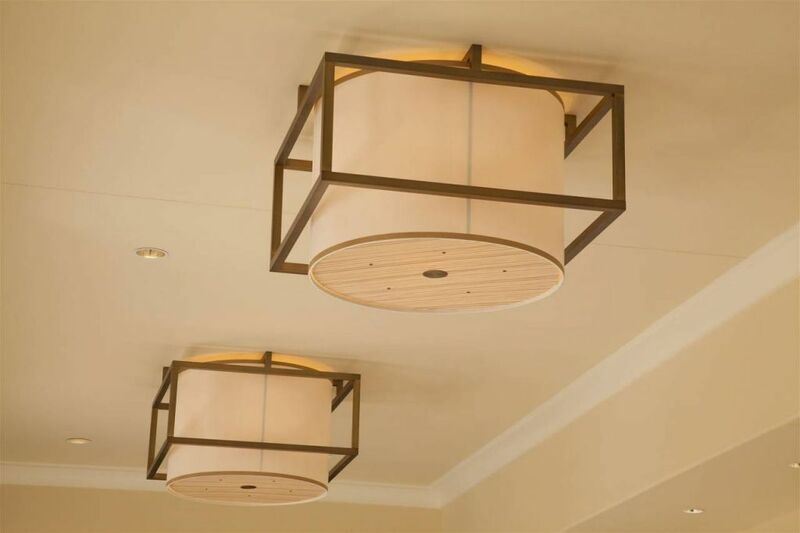 The pendants in the new ballroom measure 10’ × 10’ each and consist of clusters of 9 square boxes with wood veneer diffusers and oil-rubbed bronze finishes. 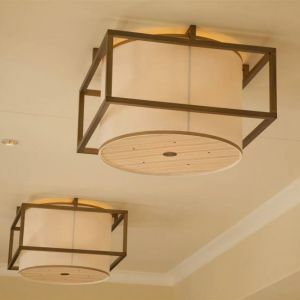 The companion sconces — hand hammered metal branches oil-rubbed in the same bronze finish — support faux onyx diffusers. 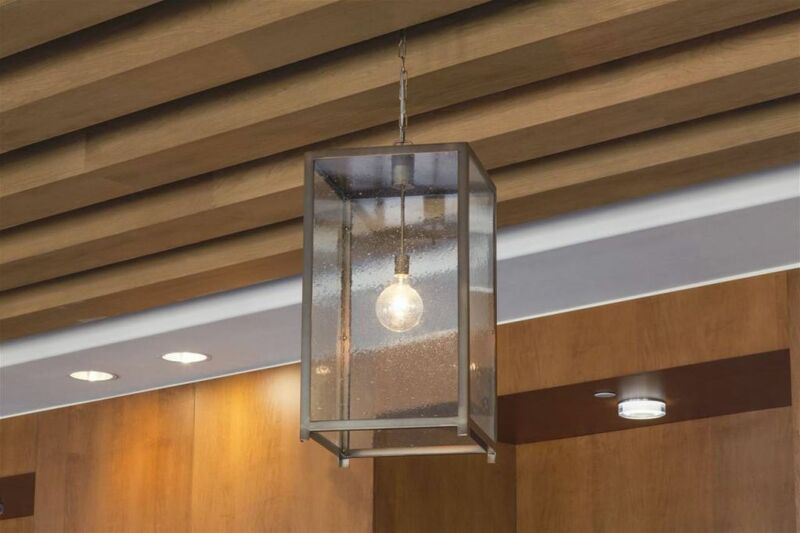 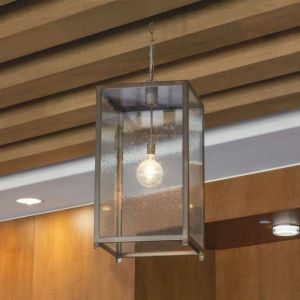 Large drum pendants supported by square cages, sconces similar to those in the ballroom, and geometric lanterns with beautiful seeded glass panels illuminate the meeting rooms and pre-function areas.